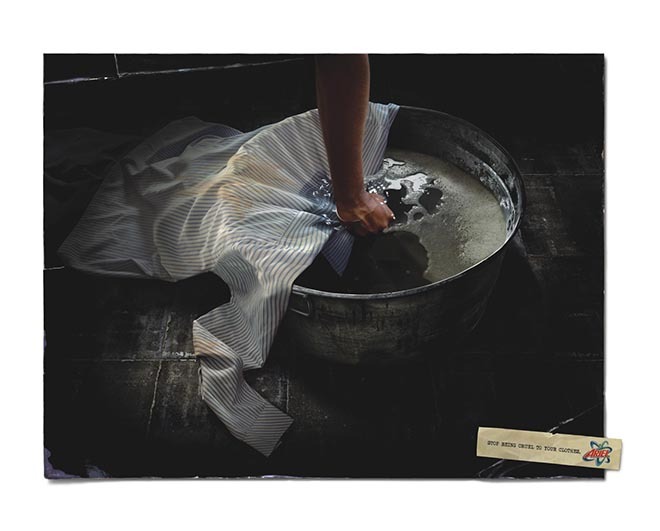 Proctor & Gamble in India is promoting Ariel washing detergent with “Torture”, a print advertising campaign with the tagline, “Stop being cruel to your clothes”. 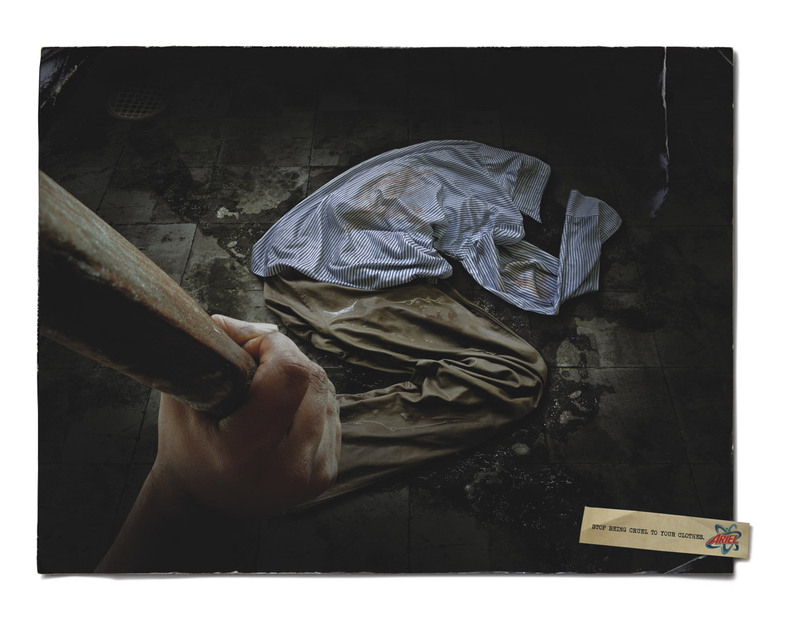 The campaign ties in well with the debate over the use of waterboarding in the “war against terrorism”. 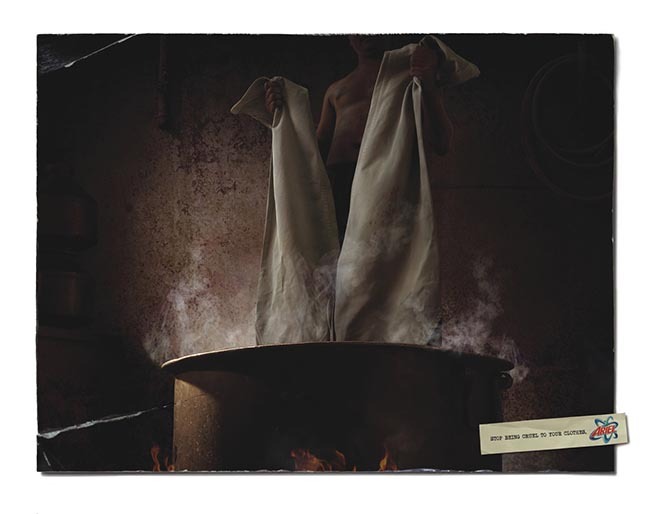 “Torture” was developed at Saatchi & Saatchi, Mumbai, India, by creative director Juju Basu, art director/illustrator Sandeep Poyeaker, copywriter Amit S Acharekar and photographer Amol Jadhav.